There won't be any controversy about the vocals on this one. The only question is how long until it scales the charts (if word of mouth is any indication, minutes after its midnight premier it was already trending #1 on Twitter around the world). "Hold My Hand" is a simple, but powerful song that embodies so much of what fans loved about Michael Jackson. Like U2's "One" it is a "love song" that expands outward, making the personal something more profound and universal. With its catchy chorus and majestic crescendo it has all the makings of a big hit (perhaps Jackson's first #1 in the U.S. since "You Are Not Alone" in 1995). Critics will undoubtedly point to the song's excessive flourishes and sentimentalism. Clearly, in his updated production, Akon was aiming bigger than the 2008 version that leaked online. It works, however, among other reasons, because of the context. This is a catharsis song for many listeners. And that's what the soaring gospel-infused ending provides. There will always be a place (and need) for songs that bring people together, reminding us to love, bridge divides and connect. Yet for all its lavishness and grandiosity, there are some nice subtle touches as well. The intro is a variation of Pachelbel's Canon in D Major (Jackson was an avid lover of classical music). Jackson's vocal is understated, but effective, capturing a combination of joy, yearning, and sadness. The opening lyric ("This life don't last forever...") is a poignant reminder of the transience of life. If a song like this can't knock off the pop-lite of Kesha and Katy Perry it says far more about the state of pop music than Michael Jackson. "Hold My Hand" isn't "Man in the Mirror," but it's a nice consolation gift to fill the void of his absence. 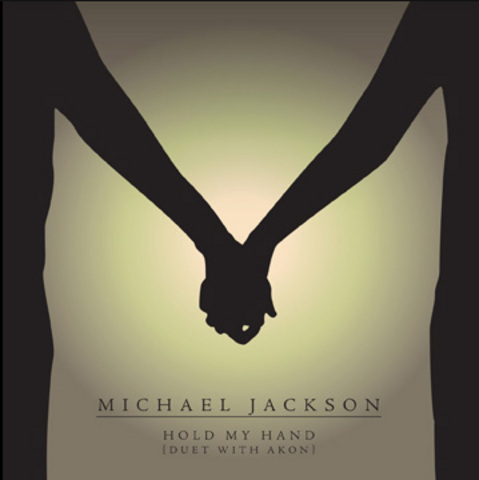 Listen to "Hold My Hand" at michaeljackson.com. Jackson's first posthumous album, Michael, will be released December 14, 2010. Joe Vogel is the author of three books, including the forthcoming Man in the Music: The Creative Life and Work of Michael Jackson (Sterling 2011).